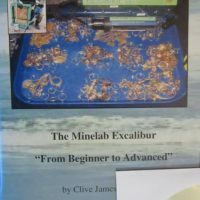 Clive James Clynick is the author of some 20 previous detector “how-to” manuals, numerous articles and product reviews. 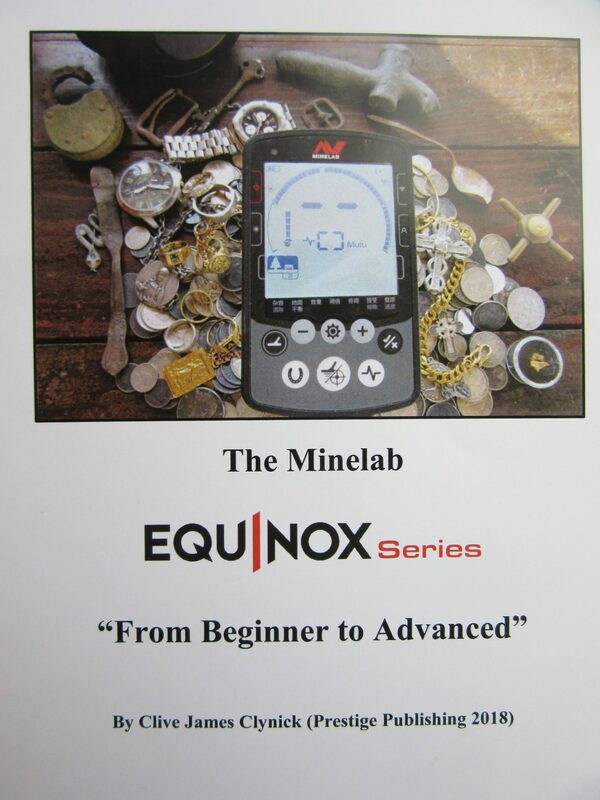 In this detailed and informative book he explains the Minelab Equinox’s ground breaking technology and how it can help you to find treasure. Customizing the Equinox for your Conditions and Targets Sought. “Multi IQ” and High Gain Detector Operating Characteristics. Understanding and Applying the Equinox’s Features. Beach, Shallow Water and “In-Iron” Skill Building with the Equinox. 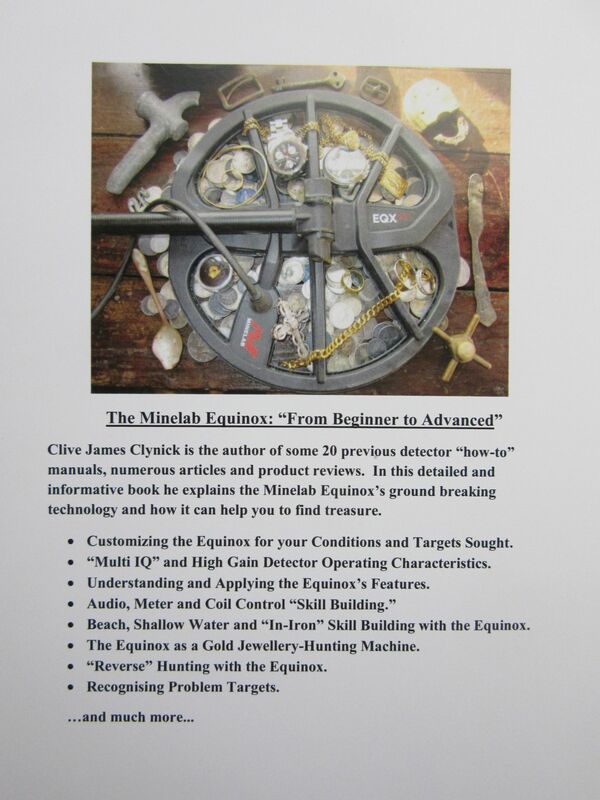 The Equinox as a Gold Jewellery-Hunting Machine. “Reverse” Hunting with the Equinox. Bottlecaps and Other Problem Targets. Very informative. I would highly recommend. Received the book. Excellent information within! Great for beginning with the Nox, as well as advanced settings and techniques for experienced users. Great reference that I will refer to often. Very in-depth on the capabilities and functions of the Equinox line. Pleased with this purchase!! Recommended for all Equinox users, and potential buyers. I got mine in the post last week. Read through once and am getting a little better sense of how to try and learn my Equinox 600. I think it has a lot of good advice and am going to read it again soon. Clive, enjoying the hell out of your book. It is a must have for any Equinox hunter. $ well spent, thank you Sir. Brilliant book well worth getting it gives you a better understanding of the machine than the manual alone. Probably the best advise a new user will get! Thank you for your research & hard work! Clive! Received the book. That was quick shipping thanks. Excellent read and informative. This will truly help. Great book! I have read it through twice, highlighted it and getting ready to start it again. I said I wouldn’t turn on my 800 until I had read it through twice and hopefully had a fairly good understanding on how to use this machine. Now I think I do. You won’t be sorry if you buy this book, it’s really, really good! I have read Clive’s book, it is smart and deep. It is not something to breeze through -it has a lot of valuable insights. 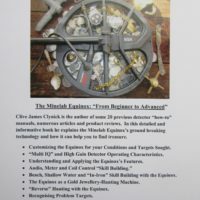 After reading your book I concentrated much more on the sound quality of targets. I very quickly started to understand which sounds to dig. Have found several ancient coins already. Now to the book. 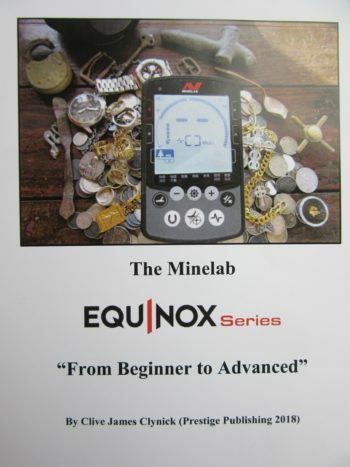 I was overwhelmed the first couple of weeks trying to learn my Equinox 800. At first I really thought my 800 was defective because it was so, so very chatty since I hunted trashy parks and was where I practiced. I saw on the forums many people having problems learning the Equinox detectors and yet at the same time the more experienced hunters were having good successes with the machines. I saw a few posts about Clynick’s book and decided that was the book for me. And it was. It is not another general 101 detecting book with just a few pages devoted to the Equinox detectors. It is all about the 600 and 800. With that being said the 800 users will find the coverage of the 800’s advanced features and settings a bonus. Even still there are parts of his book you will have to read several times, at least I did. 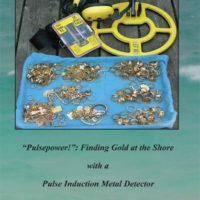 The author has written quite a few books on metal detecting so he was able to crank this good book out in record time via self publishing. I won’t take the time to go over each chapter, that is why you should buy the book if you are still perplexed or don’t feel comfortable with you 600 or even more so with your 800. The book is no substitute for not putting in the hours hunting with your machine, but it does make those hours more productive in terms of learning the machine. Also I have filled in my 800 learning gaps with carefully reading as many posts here and on other MD forums devoted to the 600 and 800. And to a lesser extent some youtube videos made by people using the Equinox. And no I am not affiliated with Clynick in any manner. I do own and operate multiple, very technical book review web sites but won’t post those links or names, because that is not the purpose of this post. 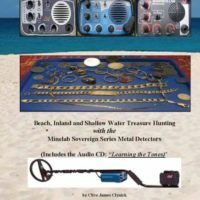 The purpose of this post is to help newbies and others learn these remarkable detectors. HH with your 600 or 800. I have Clive’s book and as always a great read. Highly recommended. I have this book and it has been very helpful in learning the Nox. I have read it once and refer back to it quite often. The last half of it is a wealth of knowledge.